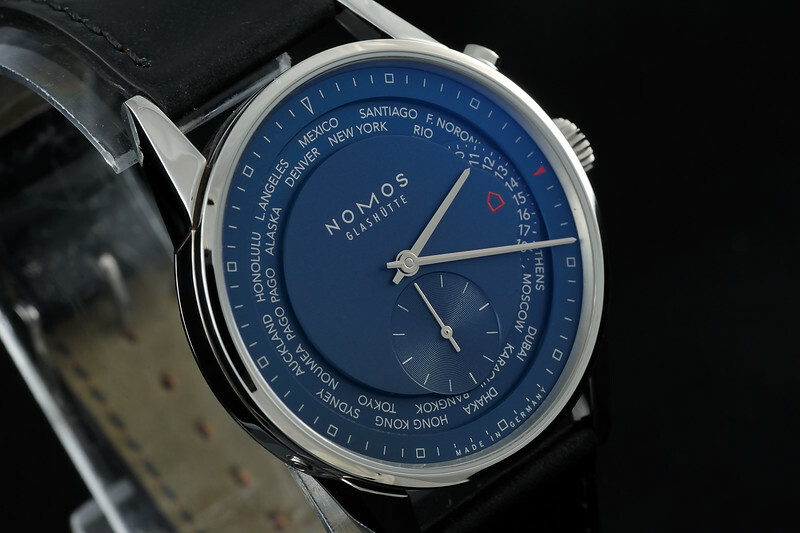 My first NOMOS and I'm impressed. 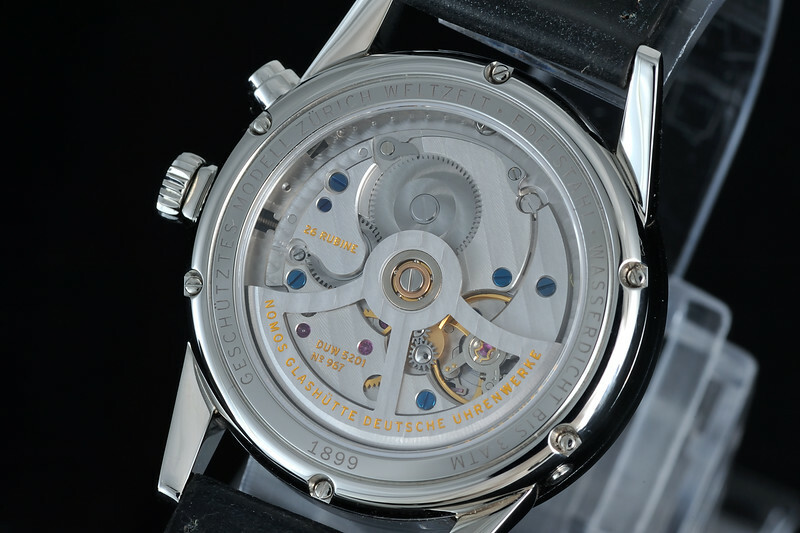 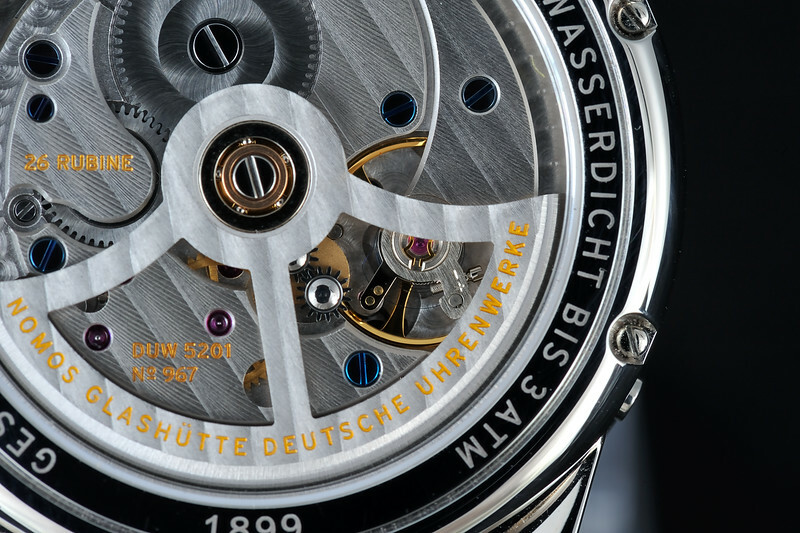 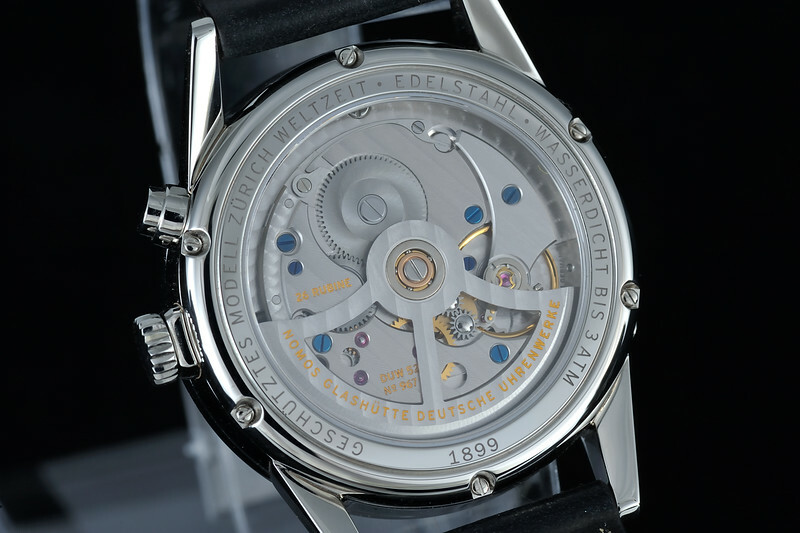 I like GMT and worldtimer watches and this one appealed to me when it was first introduced as a white-dial model. 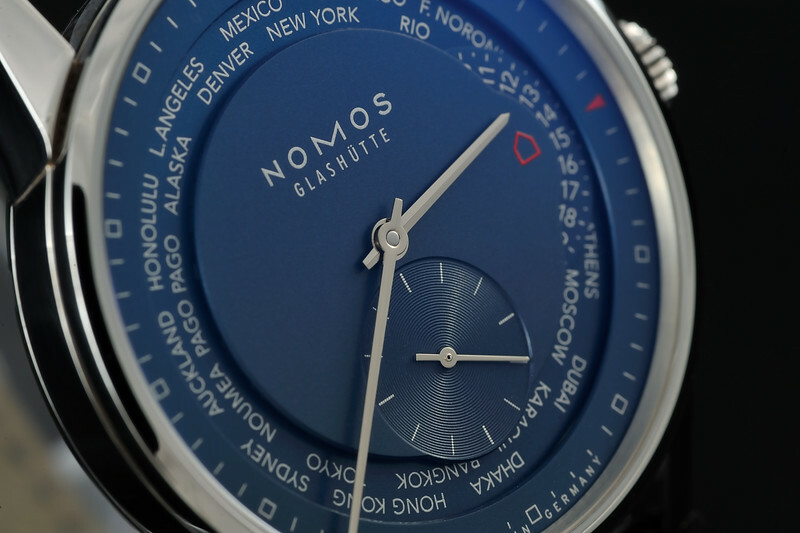 I'm glad I waited because this is my first blue watch and I'm really liking it. 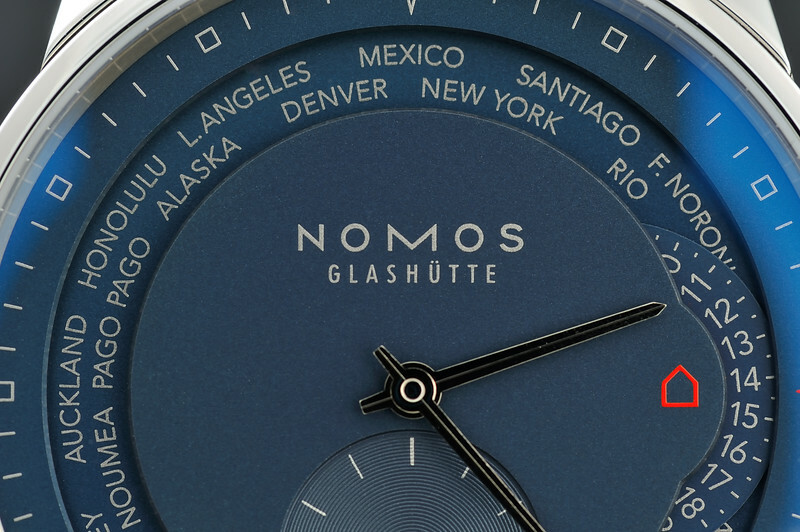 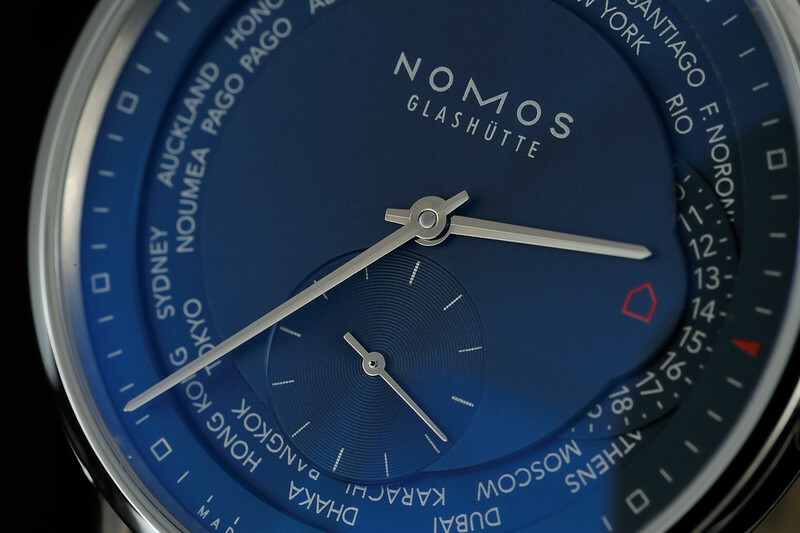 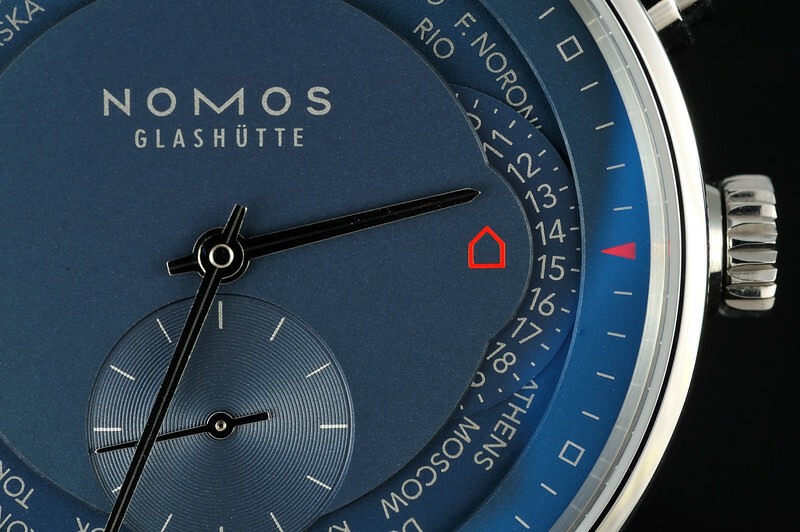 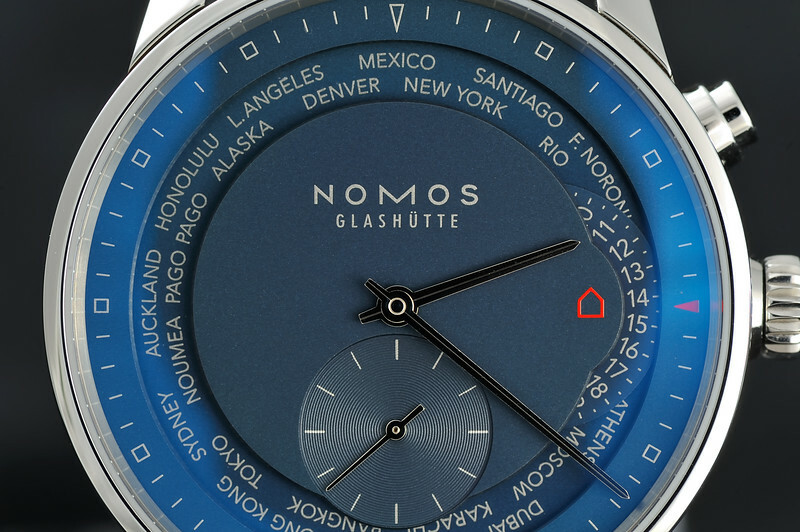 The dial has a nice texture to it and the blue color itself looks differently under different lighting conditons. 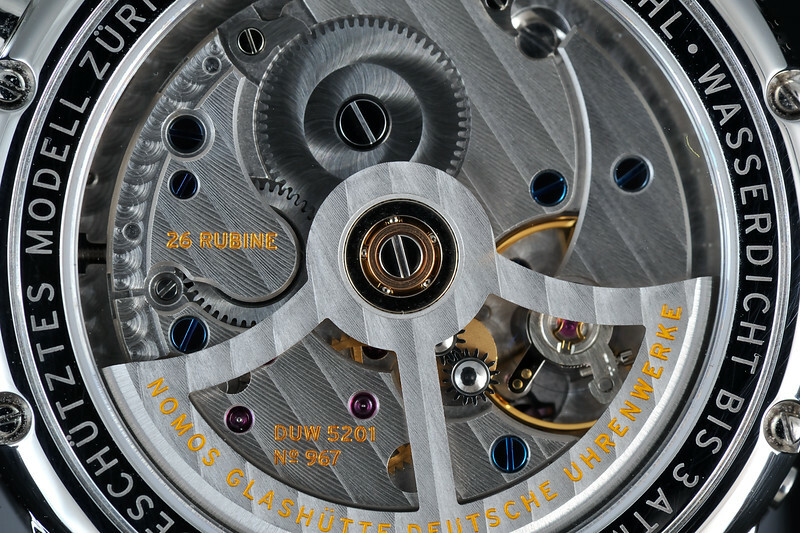 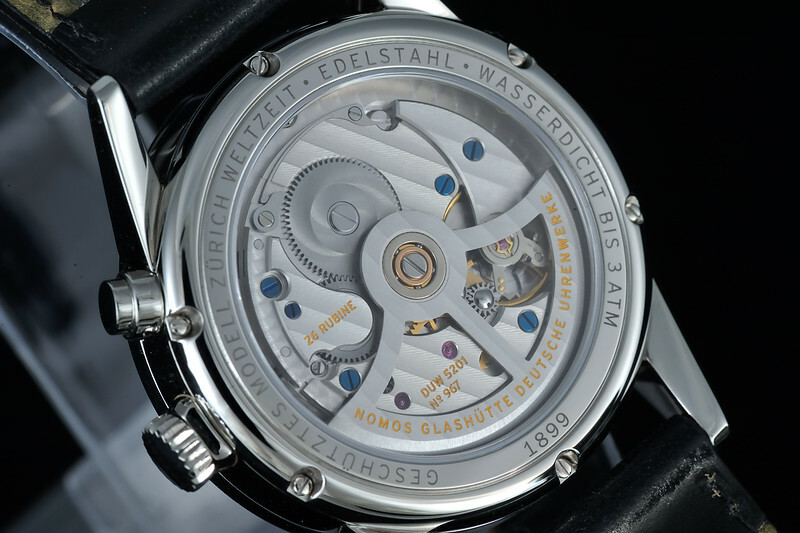 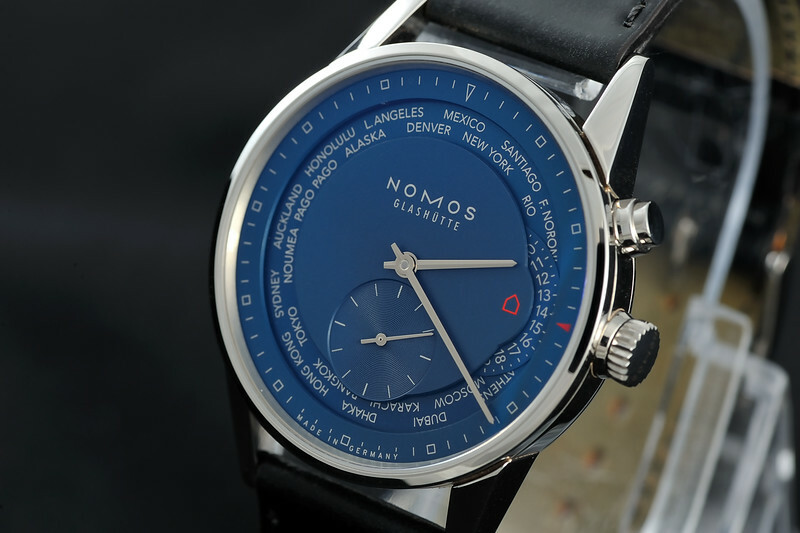 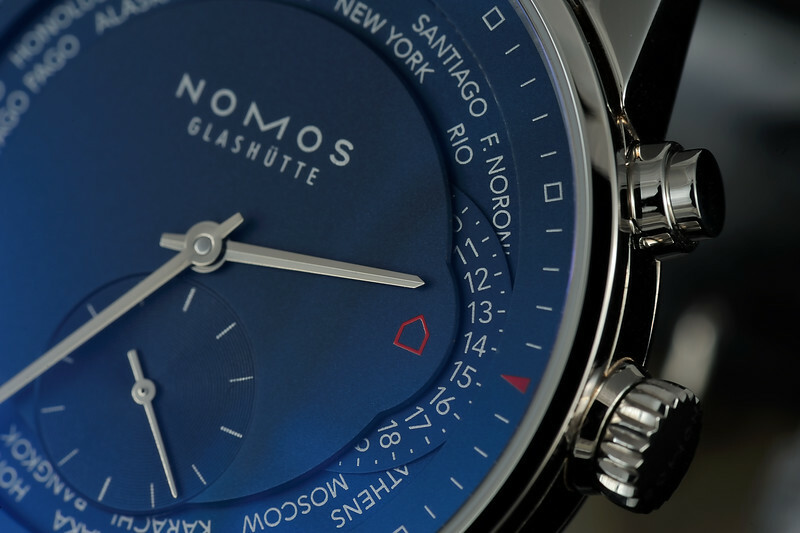 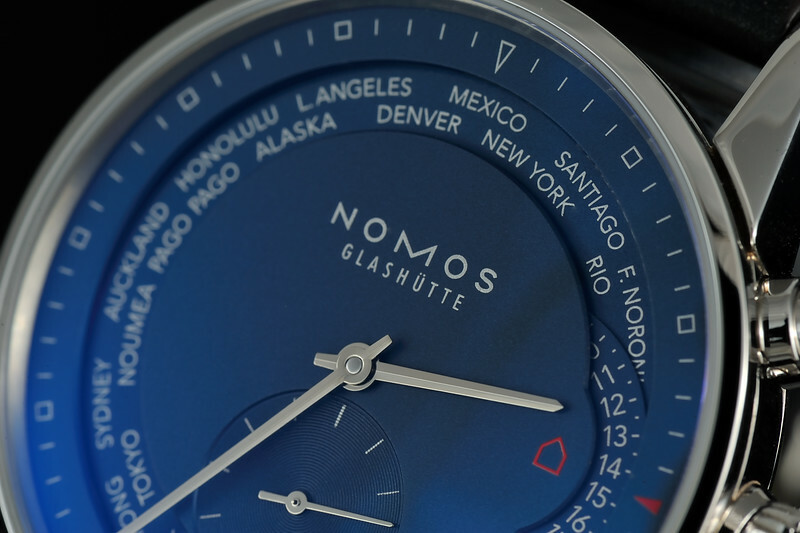 The watch is equipped with NOMOS' in-house caliber 5201 with the swing system and is nicely decorated. 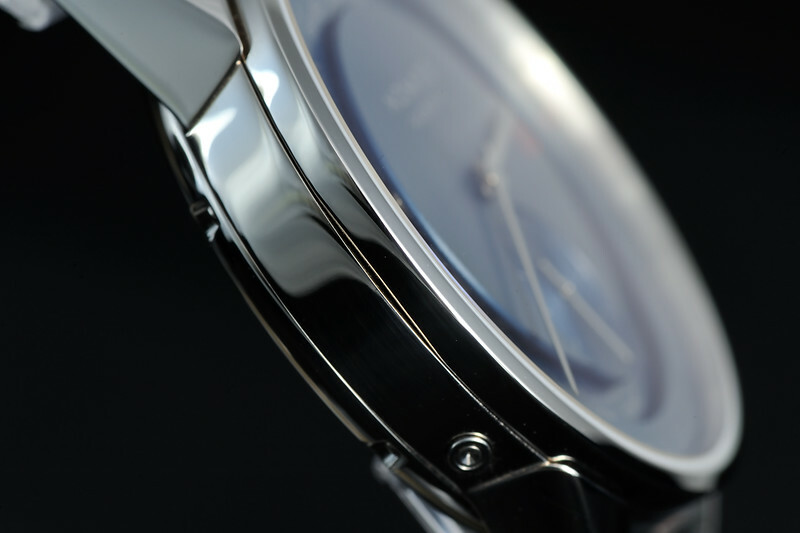 The fit and finish of the watch is top-notch. 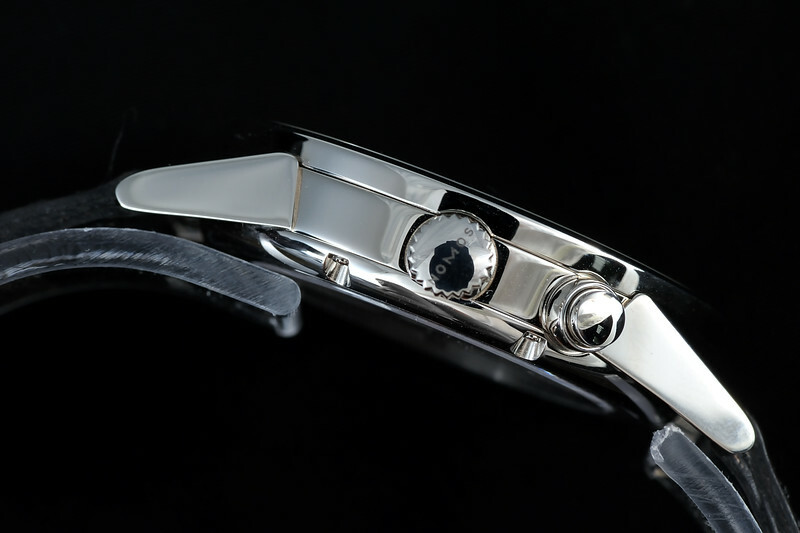 Watch diameter is 39.9mm with a height of 10.9mm. 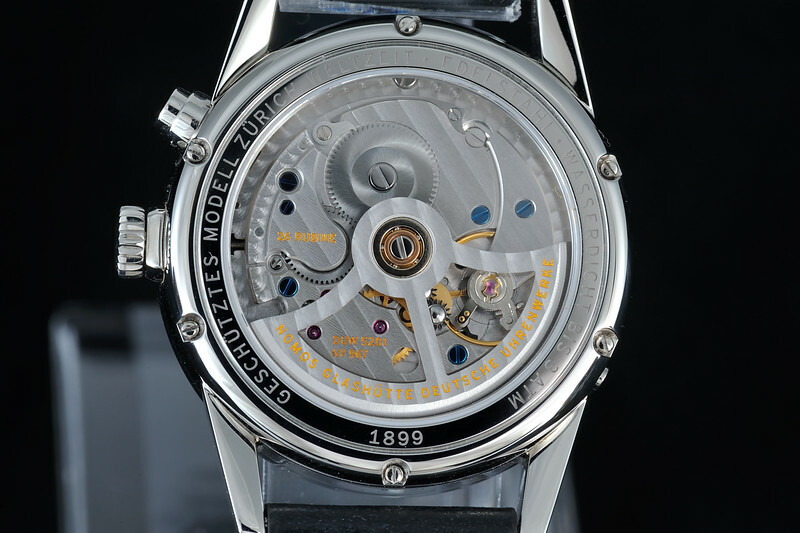 A special thanks to Jaime at TZ sponsor Shreve, Crump, & Low for working with me to get this wonderful watch! 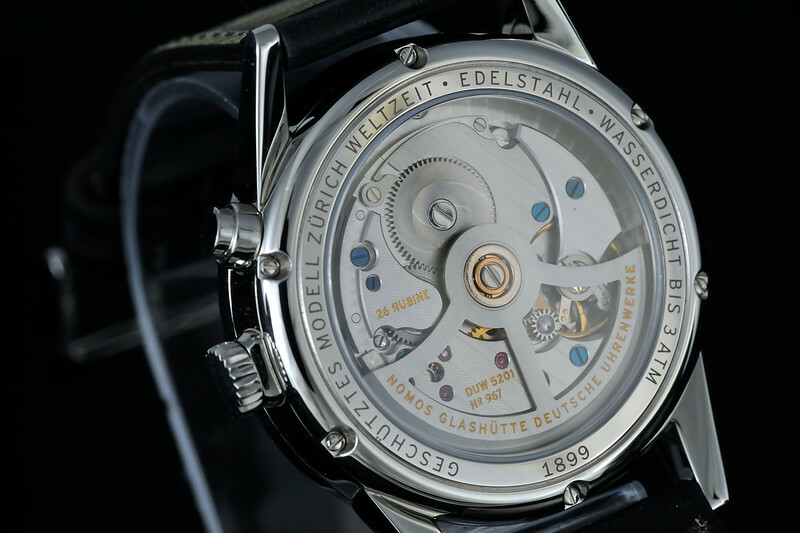 Next Topic: Sinn T1 Ti EZM14 thoughts-feedback..